Mercia 10 x 10 Overlap Apex Workshop Double Doors: The Mercia overlap garden workshop comes in this spacious double door design. 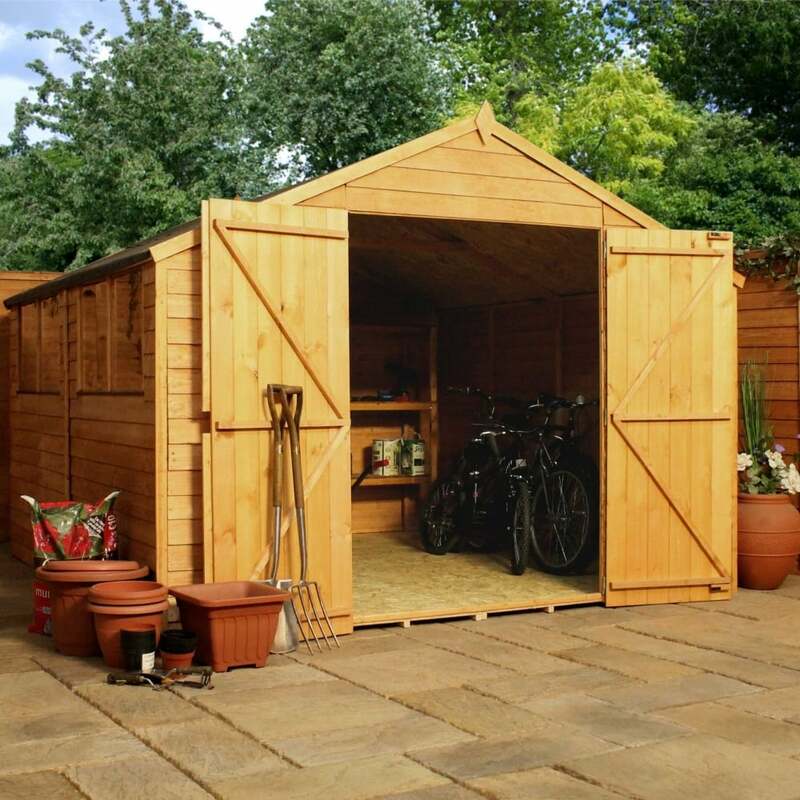 The apex workshop is perfect as a garden office or for storing your bicycles and garden equipment. The Mercia apex workshop has a classic overlap cladding board design to allow the water to run off the sides. The 10 x 10 workshop is supplied with sand felt roof material to protect the building from the elements and also includes a 10 year anti rot guarantee. The overlap wooden workshop is dip treated at the point of manufacturing but it is recommended that a further treatment is applied after assembly and annually thereafter.